Ready to pop some tags? 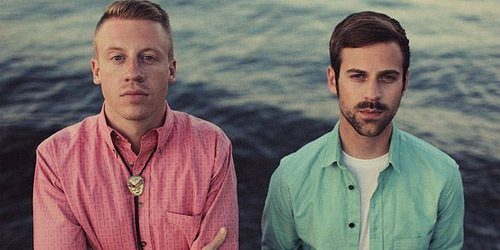 Macklemore & Ryan Lewis‘s “Thrift Shop” has been one of the big breakout records so far this year, already in the top 5 on the Billboard Hot 100. It’s a novelty record, and though that’s not the tone of their whole collaborative album, The Heist, it’s the song that’s seemed to catch the attention of fans and radio programmers alike. However, with a #5 peak thus far, it’s not the biggest single to mention a retail store in the history of the charts. Grab your cart and your list because we’ll be spending this next post looking at some different locations and “shop”-titled hits that rang up on the registers. It should be noted that the most covered “Shop” song to hit the charts used the word as a verb rather than a noun. It’s “Shop Around”, originally a #2 hit for The Miracles in 1960 and then covered by The Captain & Tennille in 1976, which got as high as #4. The song itself is a about a young man who is told by his mother that he though he’s older now, he still has time to “shop around” for girls before he “takes a bride”. For the 1976 remake, the gender roles were changed. An answer record, “Don’t Let Him Shop Around” by Debbie Dean, hit the charts for a few weeks in 1961. The same thing happened for the similarly titled “Don’t Have To Shop Around” by The Mad Lads in 1965. Both didn’t reach higher than #92. Other more general titles to hit the charts include “Love In Store” by Fleetwood Mac (#22, 1983) and “Window Shopper” by 50 Cent (#20, 2006). Five songs fit into this category, which is the most out of the four. The first was “Old Home Filler-Up An’ Keep On A-Truckin’ Café” by C.W. McCall, a #54 entry in 1974. He’s best known for his #1 hit, “Convoy”. In 1977, Carole King charted with her penultimate top-40 hit, “Hard Rock Café”, which went as high as #30. Finally, in 1981, the last charting song for jazz group Spyro Gyra peaked at #77: “Café Amore”. They hit the top 40 two years earlier with their lone hit, “Morning Dance”. The two other titles in this group didn’t hit until late 2007 and early 2008: “Coffee Shop” by Yung Joc featuring Gorilla Zoe (#78) and “Falling In Love At A Coffee Shop” by Landon Pigg (#93). The latter gained some digital strength from its use in an AT&T commercial. Besides the thrift shopping we’ve been doing as of late, the only other song about shopping for clothes to make the charts was way back in 1960. The Coasters, the same group who landed a #1 hit with “Yakety Yak” in 1958, took “Shoppin’ For Clothes” to #83 two years later. Plenty of songs mentioning articles of clothing have hit the charts since then, but none about actually buying them. I’ll spare you the list of those until another time. It will happen. Although not specifically mentioned in the title of the song, Toni Basil took a crazy trip to the supermarket to #77 in 1983, a song called “Shoppin’ From A-Z”. It was the followup to her #1 hit, “Mickey”. (Toni, what are you wearing in that video?!) Basil would hit the charts once more with another underperforming single before disappearing from the music scene. In 2011, rapper Mac Miller took “Frick Park Market”, named after a supermarket near his hometown of Pittsburgh, to #60 on the Hot 100. He has yet to make the top 40. The biggest food-specific store song to hit the charts is also the biggest one on this list. It hit #1 for nine weeks, but even with the kid-friendly title, I’m not sure you would want to be sending your children there. “Candy Shop”, by 50 Cent and Olivia, was one of the massive Urban hits that year. Cent has had several top-5 hits since then, but they’ve been largely forgettable. His current single featuring Adam Levine and Eminem, “My Life”, recently peaked at #27 on the Hot 100. One other additional entry, a novelty spoken-word record about a drunken man calling into an alcoholic beverage store, made the top 100 in 1971. That was “Ajax Liquor Store”, a #43 hit for the comedic duo of Hudson & Landry. They hit the top 100 once more the following year. Need some clean clothes? Two songs about the laundromat have hit the Hot 100. The highest-charting one was a parody of 1964’s “Leader Of The Pack”, a #1 hit by girl group The Shangri-La’s. “Leader Of The Laundromat”, as done by a vocal group called The Detergents (lot of originality there) hit #19 the following year. They didn’t hit the top 40 again. In 2003, Nivea followed up her big top ten hit, “Don’t Mess With My Man”, with the song “Laundromat”, featuring vocals from R. Kelly. It peaked at #58. Still have some money left over? Well, then you can spend it at any of the top 100 hits about restaurants, hotels, vacation destinations, etc. Don’t forget to take your Grandma’s coat with you. For more chart information and music news, follow the blog and let me know what you think in the comments or on Twitter: @AdamFSoybel. 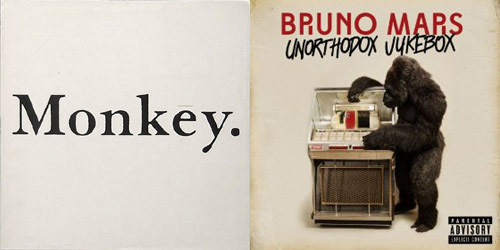 EDIT: On January 23, it was announced that “Thrift Shop” hit the #1 spot on the Billboard Hot 100. It’s now the second “shop” title to reach the spot since the aforementioned “Candy Shop”.